two-tone standard Charleston stain and natural maple. Champion is the #1 Shuffleboard Manufacturer in America and growing. Today you can find our tables worldwide and our International presence is expanding daily. 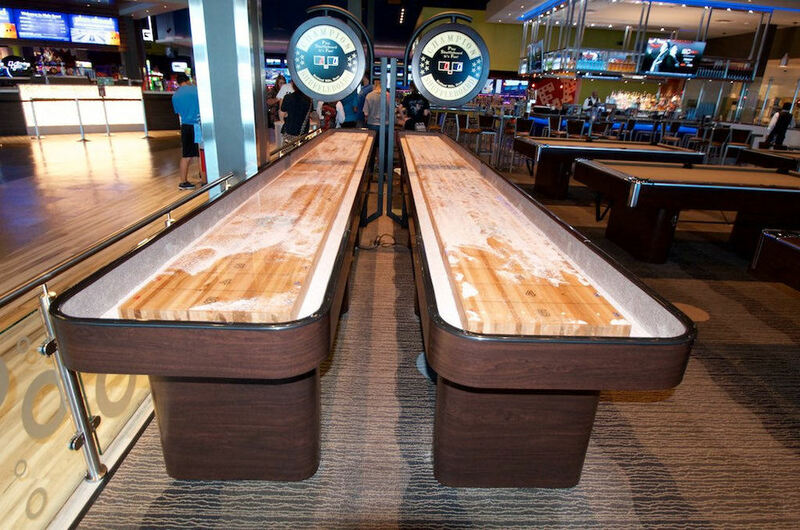 We offer coin-operated and custom designed shuffleboard tables and games. We mix our own line of custom blended powders with seven speeds to choose from. Our operation is located in Richland Hills, Texas. 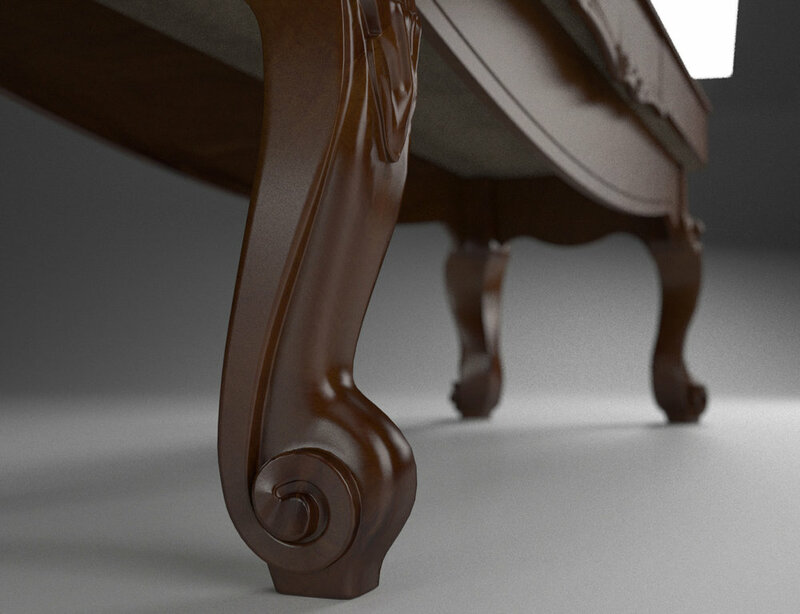 Each table and playfield is built in-house to ensure Champion's high quality standards. There was a time when table shuffleboard games were loved only by the players. Less loved by operators or location owners. The game was thought of as an "older persons game" or an "expensive bar table." However, times have changed! 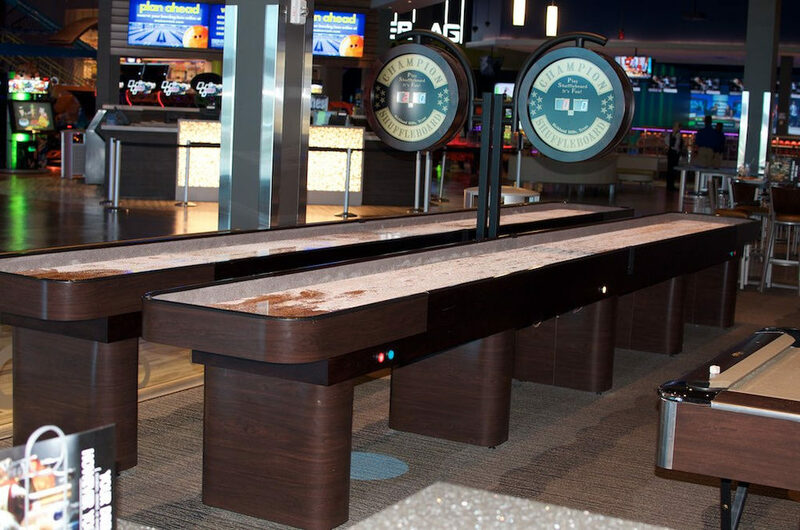 With the success of Sports Bars, Brewery Restaurants and Family Fun Centers, table shuffleboard has caught on with players of all ages. 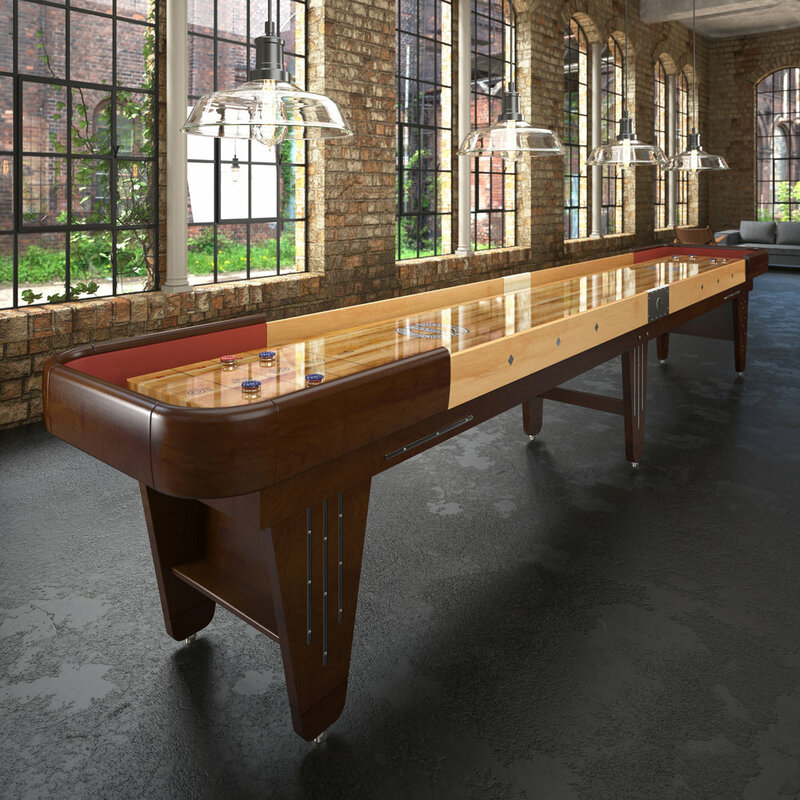 In addition, many shuffleboard players are putting these top-quality shuffleboards in their own homes. The games involve skill and, of course, a little luck. FUN FOR ALL AGES to play! Champion's second contribution was our patented "Handicap Scoring." The traditional 1-2-3 scoring remains on Champion's games along with the 1-2-3-4 Handicap system. This is great for people who enjoy a faster paced game or when a novice is playing an experienced player. The novice uses the "Handicap Scoring" while the experienced player uses the traditional scoring, resulting in a more fair and challenging game. Either way the game is played, both the player and the game owner benefit from the "Handicap Scoring." More games can be played in a shorter amount of time and as we all know, the more games played, the more money that is made. Every Champion Shuffleboard table is crafted at our headquarters in Richland Hills, Texas. There are no separate facilities, and definitely no overseas kits shipped in. Wood comes in one side of the building, finished tables ship from the other. This allows an unparalleled level of communication and involvement during the construction process - crucial when each board or game is custom built. The customer can choose from lengths of 12 to 22 feet and choose from a range of special stains and even add a playfield logo. Champion will work with you, the customer, to design a board which best fits your specific needs. Check out what so many people are talking about -- Champion Manufacturing.